FR protective clothing manufacturers accept the responsibility for the development of garments which have fit and function, ease of care, good appearance, and durability. 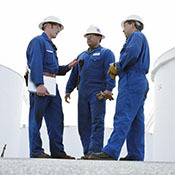 Protective clothing for petrochemical workers, wildland fire service, structural fire service, and electrical utilities personnel are manufactured with CRAQ-SPUN® threads, you're assured of superior quality, durability, performance. From the lightest weight fabrics (2.75 oz/yd2) to the heaviest weight fabrics (22 oz/yd2), Atlantic Thread can supply you with the best selection of sewing threads to meet your needs. As a domestic and international supplier of sewing threads for military protective clothing used in many countries, Atlantic Thread is very familiar with the specifications and requirements you have to meet in the manufacturing of these protective garments. As a contributor to the development of U.S. military sewing thread standards, Atlantic Thread stays at the forefront of new technology. 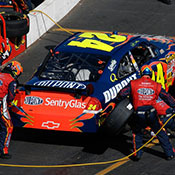 NASCAR, NHRA, Formula One and Drag Race drivers need are required to wear FR garments which offer safety and protection. Atlantic Thread can supply you with the threads used to manufacture protective clothing, such as: coveralls, hoods, gloves, and footwear; and safety components for engines and drivers’ seats. 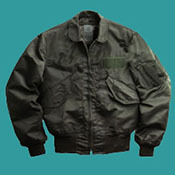 CRAQ-SPUN® sewing threads are also used for embroidery of sponsor name patches and company logos. Meets all requirements for (SFI) standards. SFI – SEMA Foundation Inc.
Atlantic Thread supplies a full color line of CRAQ-SPUN® AR embroidery threads. These threads allow you to customize protective apparel with emblems, logos, and patches without jeopardizing the safety and performance of the garment. Click here for a sampling of colors. Since 1988, Atlantic Thread has been supplying high performance sewing threads so that business furniture manufacturers can meet the most stringent requirements for flammability. Atlantic Thread supplies UL certified sewing threads for the assembly of mattresses. Visit paxpro.net to learn more. 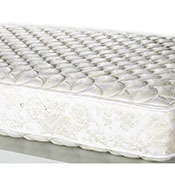 These sewing threads meet the performance criteria indicated in ASTM D7016 - Standard Test Method to Evaluate Edge Binding Components Used in Mattresses After Exposure to an Open Flame. 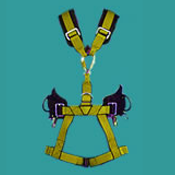 Whether your products range from ballistic body armor, cut protection, airbags, or safety harnesses, Atlantic Thread can supply you with products that you can manufacture safety equipment and footwear that have superior quality and good performance. When your footwear has to offer protection from heat transfer or cutting, Atlantic can supply you with the best sewing threads. When manufacturing products for the transportation market, products you need to be sure that the sewing thread contributes to the performance. 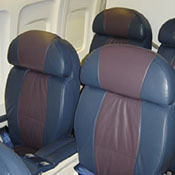 Aircraft Seating: CRAQ-SPUN® Para-aramid sewing threads can be used for manufacturing fire barrier covers; CRAQ-SPUN® aramid threads can be used for assembly of seat dress covers. The sewing thread offered by Atlantic Thread will comply with FAR 25.853, when used with an appropriate fire barrier system. A wide range of CRAQ-SPUN® AR colors are available for the assembly of dress covers. 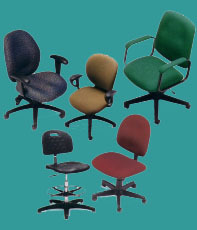 Click here for a sampling of colors. 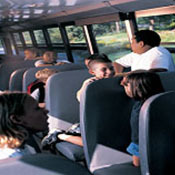 School bus seats are made safer when using CRAQ-SPUN® para-aramid threads. Public transportation seating will last longer because of the high strength performance and cut resistance provided by CRAQ-SPUN® para-aramid threads.